Keeping your outdoor structures clean is part of responsible home maintenance. It also adds to the beauty of your home, which can be helpful if you plan to sell it in the future. However, cleaning solid, exterior surfaces is not as easy as doing your laundry or dishes. If you want to get excellent results, you should invest in top-notch power washing services in New Franklin, Ohio. Wilhelm Power Washing is dedicated to providing exceptional pressure washing services in New Franklin, Ohio. We want to meet or even exceed the expectations of our clients, and we use state-of-the-art equipment and further harness the skills of our workers to restore your outdoor areas to their former glory. Consider hiring our team to do pressure washing services in New Franklin, Ohio today. Our power washing services in New Franklin, Ohio are done using safe solutions and techniques. When we perform pressure washing services in New Franklin, OH, we don’t just add sparkle to your buildings. We do our work while protecting you from harm. That’s why we use environmentally friendly solutions to clean your deck, siding, or patio. If you choose our pressure washing services in New Franklin, Ohio, you shouldn’t worry about you or your environment being harmed. You can be sure our professional pressure washing cleaning in New Franklin, OH will be satisfactory and safe. Our power washing services in New Franklin, Ohio are cost-effective. Imagine spending resources on a cleaning project that yields little to no results, wasting not only money but also time and energy. This will happen if you rely on guesswork or pick mediocre pressure washing services in New Franklin, OH. By hiring our providers of pressure washing services in New Franklin, OH, you’ll have access to more than 40 years of experience. When we’re hired for pressure washing service in New Franklin, Ohio, we make sure our clients get their money’s worth. Our team is staffed with highly skilled professionals, and we ensure the timely completion of our pressure washing services in New Franklin, OH. If you want to improve the appearance of your outdoor structures, our specialists in pressure washing services in New Franklin, OH are perfect for the job. When performing pressure washing services in New Franklin, OH, our employees work diligently to clean and reduce the wear and tear of your outdoor structures. They do this by getting up on ladders and positioning themselves 4 or 6 inches away from the target surfaces. This ensures we’re actually cleaning your building and not just performing a second-rate rinse job for you. If there’s one more reason why our pressure washing services in New Franklin, Ohio stand out, it’s that we’re willing to do the little extras for free! Once our pressure washing services in New Franklin, OH are done, we’ll clean out your gutters without additional fees. If you work with our providers of pressure washing services in New Franklin, OH, you can expect us to deliver optimal results and clean up after our mess. Do you want to restore your property to its former beauty? Our specialists in pressure washing services in New Franklin, OH can help you out! Apart from providing stellar pressure washing services in New Franklin, Ohio, we perform residential painting jobs. Contact us today for a free estimate! 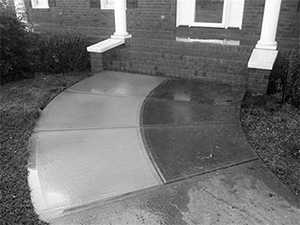 If you want to learn more about our pressure washing service in New Franklin, OH, visit our website at www.wilhelmpowerwashing.com. Before you or anyone else gets hurt, you should turn to Wilhelm Power Washing. With our expert pressure washing and painting services, we ensure that your property will start looking as good as new. We are committed to your satisfaction and safety; as such, we only use top-of-the-line equipment, paint, and cleaning solutions for each of our jobs. Since 1973, Wilhelm Washing has been providing expert pressure washing and residential painting services to both residential and commercial clients in Northeast Ohio. Our dedicated staff has more than 40 years of combined experience. In our years of service, we have built a reputation for promptness, integrity, and reliability. No matter what service you called us for, you can expect us to be open and transparent with you every step of the way. Our company is specialized in pressure washing and house painting. When you hire us, you’ll be glad to find that our experts pay great attention to detail. We do our best to ensure that you get a quality job every time. After a few years, the paint on your home will start looking dull. You can trust our local company to restore the vibrancy of your home with our professional painting services. When your house or office needs its look updated or its exteriors cleaned, don’t hesitate to get in touch with us. At Wilhelm, we guarantee that you’ll be getting the best pressure washing and house painting services in Northeast Ohio. Rely on us to keep your home spotlessly clean and beautiful. Call 330-477-7094 today and receive a same-day pressure washing quote. We would love to hear from you!